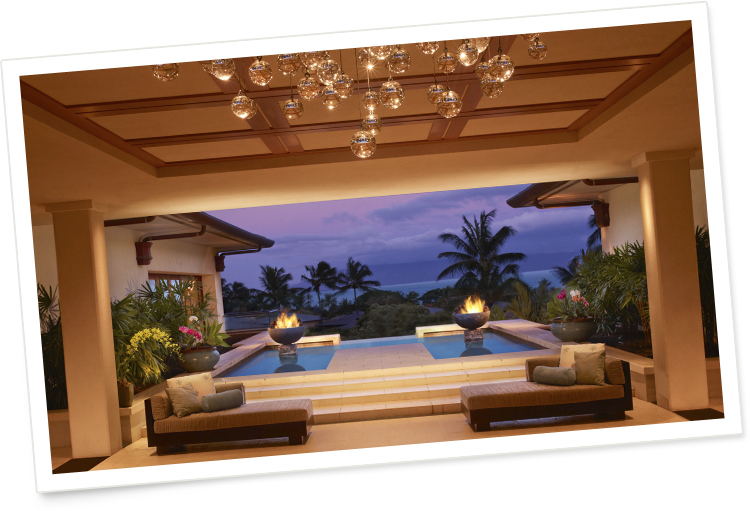 The concept was inspired by the abundant wellness energy surrounding the spa from Mauka (mountains) to Makai (ocean). The design; two spas in one, pays homage to the rich cultural history, the graciousness of Hawaiian hospitality, the roots of the fruitful pineapple days and the nurturing beauty of Kapalua. Natural materials, inspiring accents and indigenous plants have been carefully selected to provide an elegant, calming and holistic ambiance that is truly of Hawaii. For Spa reservations, please call (808)665-8282(808)665-8282.